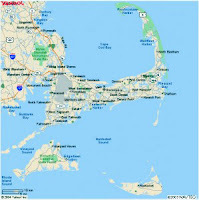 Cape Cod is much larger than most folks think, with many villages and towns, each with its’ own special charm. There are numerous bike trails, hiking paths, and many beautiful beaches and nature preserves where you can commune with nature. We have amazing restaurants and quaint shops, and endless museums and galleries to visit. We have some of the world’s most talented visual and performing artists exhibiting and entertaining in many types of venues throughout the Cape. And then, there is our world famous sea food. There is something for everyone to enjoy here no matter what the season. 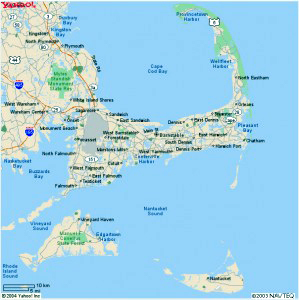 One of our reasons for writing this blog is to provide information that we hope will help you in planning your stay on Cape Cod. We blog about upcoming events, about places we have visited, and about experiences that we have had in the many years we have lived on this wonderful and diverse quasi island. Even for those of us who reside here, there are always new adventures to enjoy. After nearly twenty years, we are still exploring the Cape. Sometimes we even hear about places off the beaten path that one of our guests has stumbled upon. 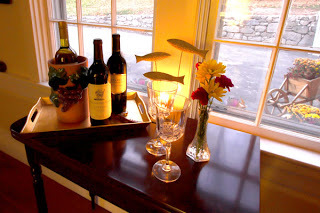 We check them out and share them on this blog and with guests at our inn. We realize that most people don’t have an unlimited amount of time to spend when they vacation here. 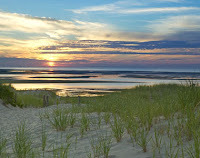 We hope our blogs featuring suggestions for things to do for a two, three, or four night stays will help you to experience the best of Cape Cod in the time that you have. Folks come to Cape Cod each year for many different reasons. Whatever yours is, we hope that you will come to quaint and historic Sandwich Village and stay with us at our bed and breakfast. 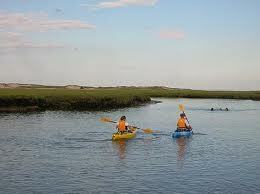 We will do our best to provide you with information that will help you have a memorable Cape Cod experience. After all, we want you to love it as much as we do and come again and again. Jan Preus, the Innkeeper, chef, and artist in residence. 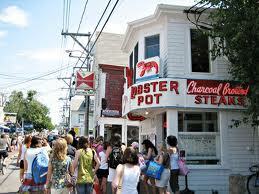 People are attracted to Cape Cod for many reasons. Most of the guests who stay at our Sandwich bed and breakfast come for the tranquil beauty, pristine beaches, and regional seafood. 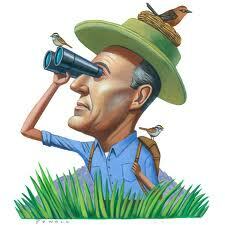 We have also had many “birders” over the years. They come in the spring, summer, fall, and winter. They arrive with binocular, cameras, notebooks, field bags, and field guides in hand in search of species rare and some not so rare. One of the most well-known of the migrants to Cape Cod is the piping plover. These small birds return each spring from their winter hiatus in the south to nest and lay their eggs in the sand along Cape Cod’s beaches. This year, these endangered birds, as well as many other species, have migrated earlier than they normally do, possibly due to the unusually warm winter both here and in the southern United States. A concern of the piping plover early migration this spring is our recent cold snap and whether it will have an impact on their mating and nesting. These small birds make their nests in the sand by scratching shallow depressions and surrounding them with bits of shells and rocks. This makes them extremely vulnerable, not only to the elements but to predators and to beach-goers alike. Most of the areas where the plovers nest are marked off by the wildlife service to protect the eggs and the young birds. It takes the eggs in the nests about 28 days to hatch and then it is another 30 days or so before the young plovers can fly. Piping plovers were brought back from near extinction to its peak in the 1940’s but the population began to decline again due to recreational use of beaches and the increase in residential and commercial development. The Endangered Species Act passed in January of 1986 placed them on the endangered list. 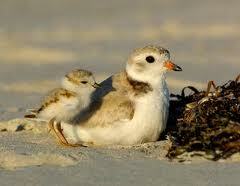 The US Fish and Wildlife service on Cape Cod has played a major role in the protection of the piping plover population. Whether you live on the Cape or are just vacationing here, we all want to go to the beach to walk, swim, play, and enjoy the warm, sunny days. Visitors to Cape Cod beaches can help by being mindful of and respecting roped off or fenced areas that are to protect the plover’s nesting grounds and hatchlings. This also means keeping off-road vehicles and pets out of the area. This doesn’t seem too much to ask to ensure that an endangered species continues to thrive. We have had a blessedly mild winter here on Cape Cod, for which most folks who live here are truly grateful. 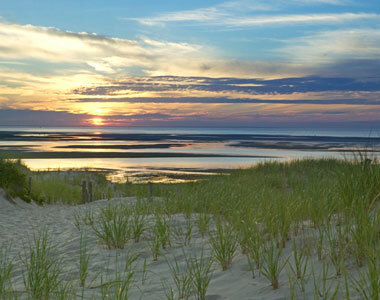 Now that spring is officially here, it is time to start thinking about your plans to visit Cape Cod this year. We hope those plans include a stay at our Sandwich bed and breakfast located in Cape Cod’s most quaint and historic village. 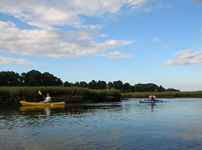 There is so much to do here in Sandwich and on the Cape, and we hope your stay will be a nice long one. If you come to the Cape every year, you know there is so much to choose from that you never run out of things to enjoy, and that there is always a new adventure just around the bend. If you have only a short time to visit, let us help you make the most of your stay by sharing some of the places that we think make Cape Cod a most special place. Our lovely Cape is one of the top vacation destinations in the and people come from all over the world to enjoy its natural beauty. We in the accommodations industry love meeting new folks and are fortunate to be so busy with guests. What this means for folks planning a visit, is that you need to make your accommodation plans early. With the mild winter we have had, we are expecting a really beautiful spring and summer. Flowers are already blooming and the Cape is shrugging off the last vestiges of Old Man Winter. Trails are ready to be hiked, rivers and streams are just waiting for kayakers, and restaurants are tweaking their menus all in preparation for you visit. 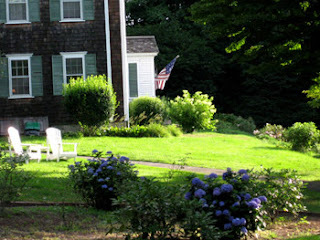 We at the 1750 Inn at Sandwich Center are fluffing and buffing our lovely guestrooms to a sparkle and shine and putting in the annuals and planting the window boxes in anticipation of a busy 2012 season. We are offering an amazing early spring special that we hope will fit nicely into your travel budget. Enjoy a Spring Fling in Sandwich for just $139 per night plus taxes for the months of April and May. You must stay at least 2 nights and you will need to call us at 508-888-6958 to book this special. Ask us about designing a special package for you that includes a 3-course dinner at one of Cape Cod’s best restaurants and we can even add tickets to a couple of Sandwiches’ premier attractions. Give us a call! We would love to have you come for a visit.